A refreshing non sticky whitening toner that gently sweeps away the last trace of impurities from your skin and pores while providing a pleasant & cool sensation. This Whitening Clear Toner is formulated with Vitamin C & B3 to reduce melanin production & to promote a clear complexion. Explore the entire range of Toners & Astringents available on Nykaa. Shop more Spawake products here. Explore the entire range of Toners & Mists available on Nykaa. 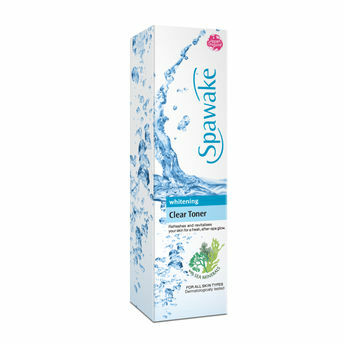 Shop more Spawake products here.You can browse through the complete world of Spawake Toners & Mists .